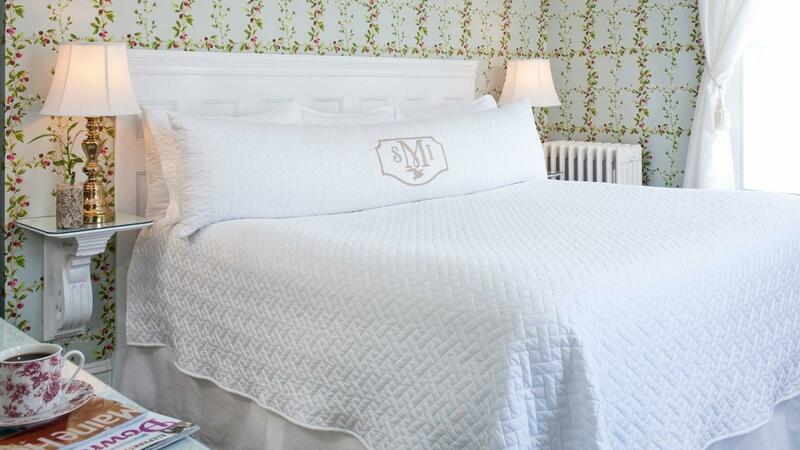 Abbie’s Retreat is an inviting Victorian-style corner bedroom with a comfortable sitting area. Situated on the second floor overlooking our back gardens, this room features a custom King bed, a flat panel TV/DVD, player and a raised gas fireplace. 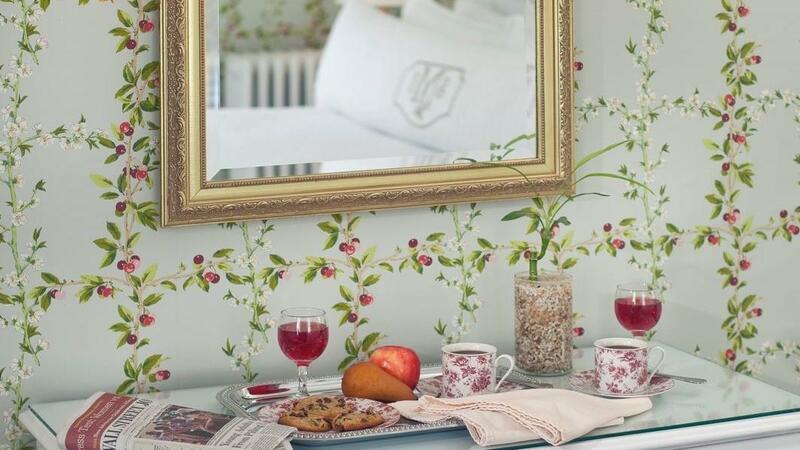 Enjoy your morning coffee with a Keurig coffee maker and relax in two cozy armchairs. Plus, you can experience the ultimate in climate control by Mitsubishi. 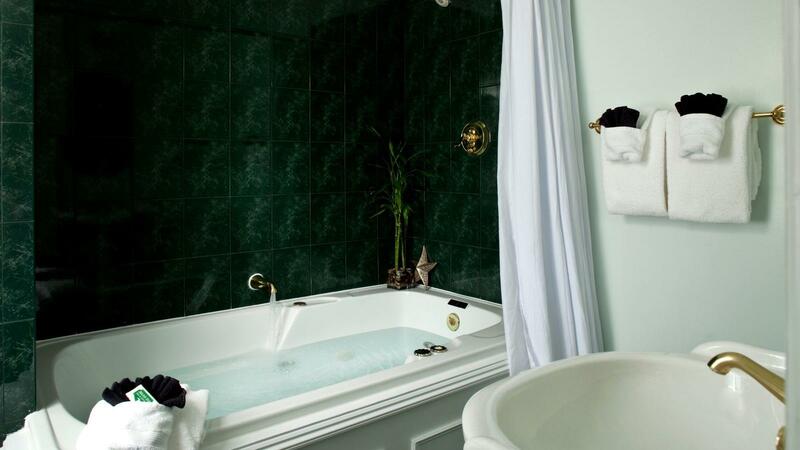 The private bath is fully tiled and offers a luxurious double whirlpool tub and a shower.